Work up to a challenging set or two on each exercise. You should be able to complete sets of 5-10 reps of each movement to Rx this workout. The loading should be medium-heavy and allow for you to do at least one set unbroken. 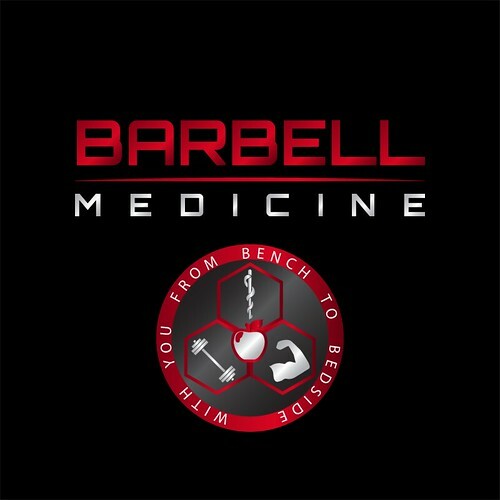 Post time and Rx or rounds, reps, and Rx to comments. Today’s 2pm Anti-Gravity class is cancelled. Best.potluck.ever. Thanks CFSBK! Special thanks to Brett Ferguson! Sorry to have missed the potluck! Gigantic 10 AM with Fox and Lauren. Did the Fitness rep scheme with the performance deadlift weight, since I figured 125 was not going to be challenging, and got 7 rounds even. I wish in retrospect that I had also upped the DB weight because basically I spent this entire workout doing deadlifts, and the strict press was a rest period. It was nice to pick up a heavyish barbell in group class. I hope we do that more often this cycle! The potluck was amazing! Everything about it. Great job Brett & everyone else who had a hand. Including Russel because the gym was so spotless it looked like an A+ rated NYC kitchen!!! Potluck was fantastic yesterday – really fantastic food, and some amazing karaoke performances! Congrats to Brett, David and CFSBK! Worked up to 70lbs on the overhead carry – I find those to be a lot of fun. Practiced false gripping the ring rows, learned that I can only keep the false grip for 3 reps or so, it starts slipping away. Metcon 15-12-9 DL@275 and strict HSPU to 2 abmats: 9min on the dot. This wasn’t a fun deadlift weight to do 45 reps of, and I really didn’t feel like pushing my luck today. Had a lot of fun hanging out at the potluck last night! Thanks to everyone who contributed such delicious food — I had a great meal 🙂 And much appreciation to Brett for all his hard work, everyone who volunteered, David, and yes definitely RUSSEL for cleaning the gym not just once but twice!!!! WOD in 7:59 RX’d. not a blazing fast time, but I’m happy with how I executed for the day. Diane is not my jam. I think I played this one right for where I’m at. I think I started my 21 HSPU around 1:15 and I heard fox call 3 minutes when I was heading into my last set of 3… so about 2 minutes to chip away through those. Should have spent some time in the strength portion of class warming up my HSPU and the kip. I didn’t feel too dialed in right away and I know I could’ve been staying tighter and using my hips better from the get go. 12noon with Lyns & Snicks! NFT work was just what I needed – first time doing those carries, super challenging. Stayed at 25# overhead and worked up to 20kg farmer. Happy with my position on the leg raises. I’ve been getting to NLWC on Mondays totally fried from weekend WODs, so tried to treat this as a recovery day, so kept this light but fast. Felt good but those presses totally added up quick. Potluck was amazing, best so far! Warmed up in a flash to get today’s metcon in. 7:11 Perf Rx with strict HSPU. That was ruff. We mentioned this in AR today, but can Russel be the next Better Know A Member?? He’s such an important part of the CFSBK community, it’d be great to learn more about him and give him some shine! The potluck was incredible!! Great job to Brett and everyone else! Carries with a 20kg KB and a 35# DB overhead. Took my time because I didn’t want my lower back to blow up. It’s possible that I only did 6+6. I can’t remember if I marked my last round on my whiteboard. When I do the math, 7 rounds makes sense because it took me three minutes to do the first three rounds and I kept a very consistent pace. Partnered with Bea and Theodora. Subbed 24kg swings for the double swings because they bothered my right elbow- even at 8kg.